On Wednesday February 1, 2017 the Canaan Police Department in cooperation with the Lebanon Police Department and the New Hampshire Attorney General’s Drug Task Force conducted a drug investigation regarding narcotics being transported into the Upper Valley. As a result of the investigation, Canaan and Lebanon Police Officers arrested Amanda N. Pelletier, age 31, of Jerusalem Road in Canaan and Donna M. Lemay, age 53, of Rudsboro Road in Lebanon. 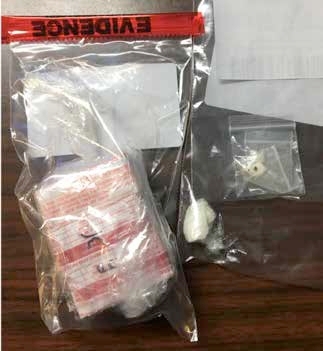 Both Pelletier and Lemay were arrested forPossession of the Controlled Drug Heroin with Intent to Distribute and Possession of the Controlled Drug Cocaine with the Intent to Distribute. Pelletier’s charges are a Special Class Felonies as she was previously released on bail conditions. Lemay’scharges are Class B Felonies. Pelletier and Lemay were arrested after a traffic stop on Dartmouth College Highway in Lebanon. A subsequent search of the vehicle produced approximately 275 bags of Heroin, Crack Cocaine and other drug items. Pelletier’s bail was set at $35,000 cash only and Lemay’s bail was set at $25,000 cash only. Both women were held at the Grafton County House of Corrections for lack of cash bail and will be arraigned on Thursday February 2, 2017 in the 2nd Circuit Court – District Division Lebanon. This investigation was conducted as an interagency-operation between the Canaan Police Department, Lebanon Police Department and the New Hampshire Attorney General’s Drug Task Force. This investigation is part of the Statewide Operation Granite Hammer, which aims to reduce the dangerous opioid drugs being introduced into New Hampshire.